After it has removed food from your dishes when washing, your dishwasher will catch it with a filter located in the bottom of the tub. However, filters come in two different flavors. A self-cleaning filter will actually break down food particles so they can be washed away. However, a lot of Bosch dishwashers, especially older ones have manual filters in which will need to be emptied regularly or you risk poor drainage or even the food somehow ending back up on your dishes. However, while it looks like a complex affair, changing out and cleaning a Bosch dishwasher filter is actually really simple. Once you have done it once, it is kind of something you don’t forget how to do. You will need to start by pulling out the bottom dishwasher rack all the way out of the machine. Now you will need to remove the lower spray arm, which can just be lifted and twisted out. Finally, the filter cap can be twisted and removed along with the mesh screen below it. Try not to drop any food particles inside your dishwasher. The filter catches them in order to prevent clogs in the machine so it is important that they are removed. In order to clean the filter, any standing food should be placed in a trash can. 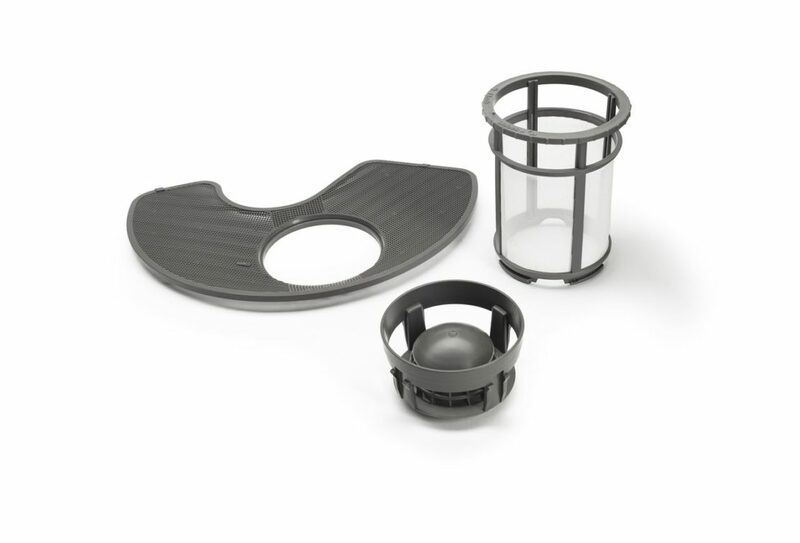 The filter cap and mesh screen can then be washed in your sink with dish soap until no more food residue can be seen. After placing the mesh screen in first, you can twist the filter cap into place, reinsert the spray arm, and finally slide the bottom dish rack back in. It is crucial that you do this manual cleaning as often as possible. If you do multiple loads per week, it should be a weekly chore. However, doing a pre-soak before dish washing can help limit how often this needs to be done.